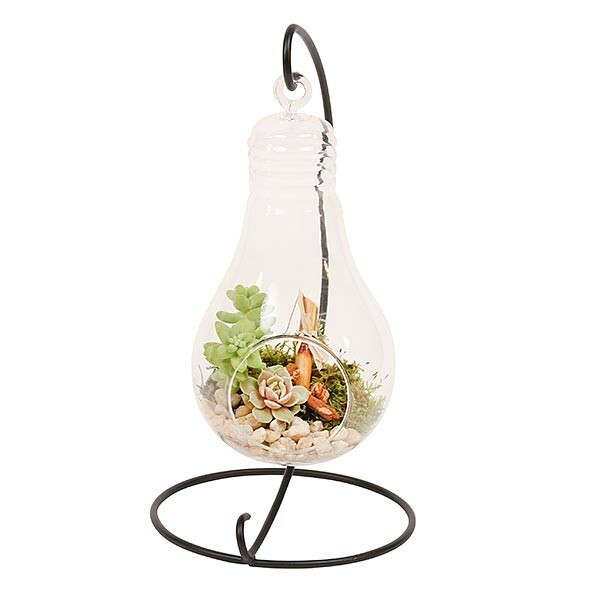 Succulents in a hanging bulb terrarium...what a bright idea! These plants need indirect sunlight and not too much water--just a few squirts in the rocks every 10 days or so. 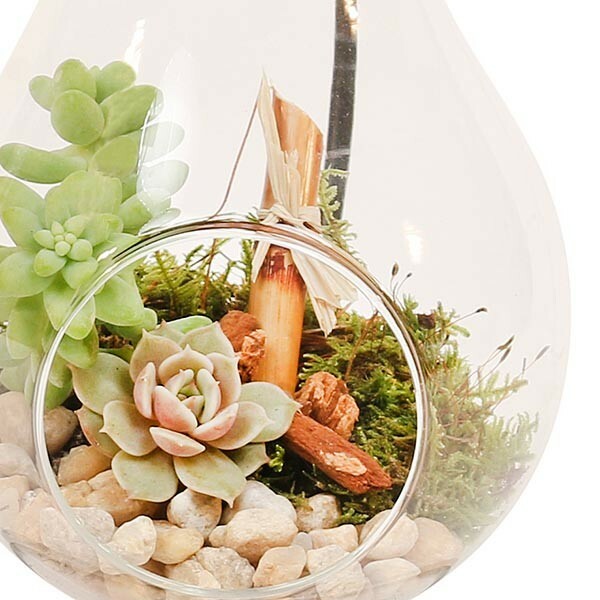 This fun terrarium will surely add a touch of the whimsical to your desk or end table. Electricity not required--or recommended! 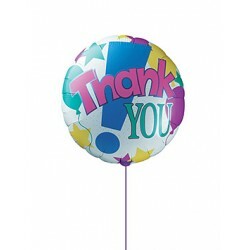 Send a special gift from plantshed.com. Your local Manhattan florist.